US embassies around the world directed to prepare for impending statement by President Trump recognizing Jerusalem as Israel's capital. US embassies and consulates around the globe have been ordered to prepare for the potentially violent backlash against a much-anticipated statement by President Trump this week either announcing the relocation of the US embassy in Israel to Jerusalem, or formally recognizing the city as Israel’s capital. According to a report by Politico Monday night, two classified cables sent by the US State Department ordered embassies around the world, especially those located in Muslim-majority countries, to increase security ahead of a likely statement by the White House on the Israeli capital city. State Department officials have staunchly opposed President Trump’s plans to either relocate the US embassy in Israel, or at the very last make a statement recognizing Jerusalem as the Jewish state’s capital. 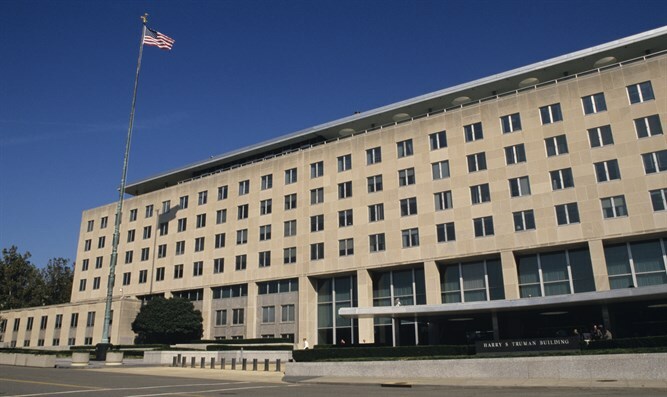 According to a report by Reuters Tuesday, staffers in the State Department’s Near Eastern Affairs bureau (NEA), have pressured the president to avoid altering the status quo vis-à-vis Jerusalem, warning of “security” risks. “Senior [officials] in NEA and a number of ambassadors from the region expressed their deep concern about doing this,” one US official told Reuters. The Washington Post reported similar claims, citing US officials who said the president was “agitated and exasperated” by bureaucratic opposition to the move. While the White House has remained mum on the president’s plans, observers noted Tuesday that the president twice missed deadlines to renew the security waiver which allows the US embassy to remain in Tel Aviv. Last Friday, which marked six months since the last waiver, the White House reported that the president would delay acting on the waiver until after the weekend, promising a decision by Monday night. But the Monday night deadline passed with no new waiver allowing the US embassy to remain in Tel Aviv, AFP reported Tuesday, increasing speculation that the president may in fact be preparing to relocate the embassy in the near future. Eugene Kontrovich, Head of International Law at the Kohelet Policy Forum and a professor at Northwestern University, said the lapse of the waiver likely indicated the president is preparing to relocate the embassy.